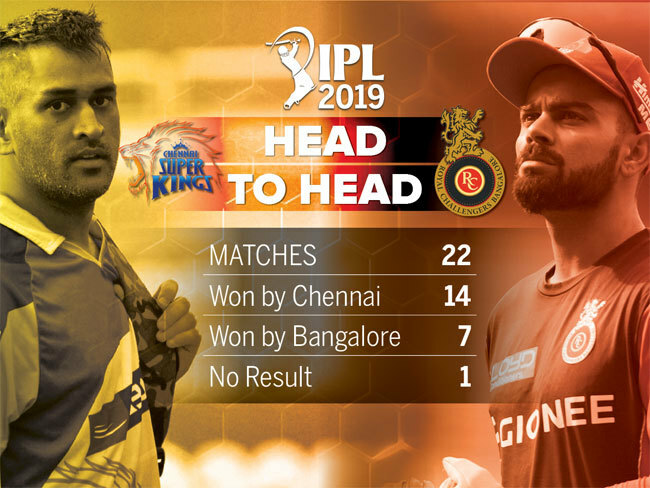 This history is reflected in the two sides’ head-to-head record, CSK leading 14-7 in 22 IPL meetings with one being a no-result. It will be no surprise then if the contest on Saturday stays true to form. 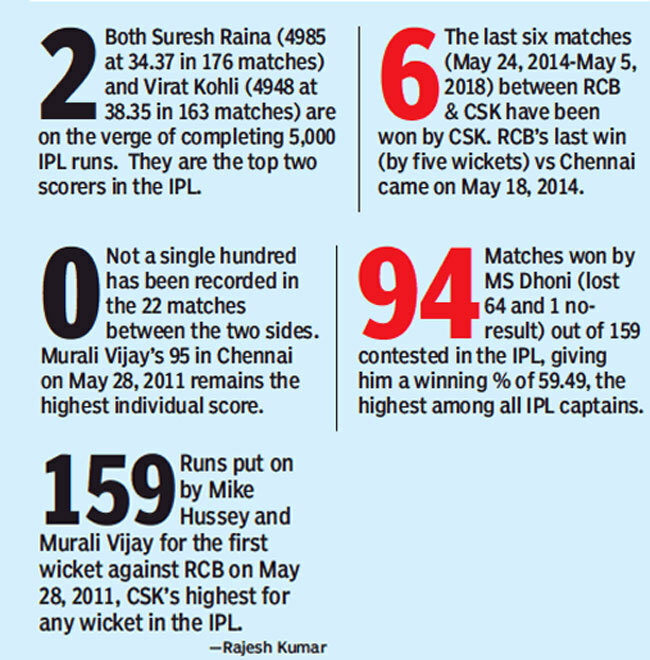 “Every team that comes to Chennai has to be considered underdogs because CSK have done so well at home. MS knows exactly what he wants from his team in these conditions,” Kohli said on Friday. “Traditionally, there is a bit of turn there. It looks dry. 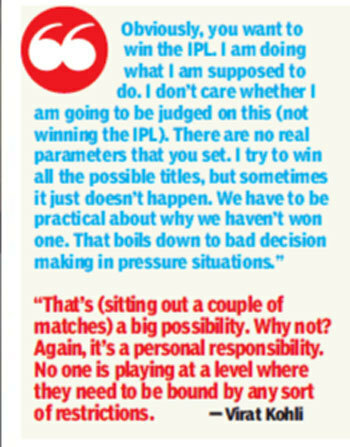 Even though it is a home game, it takes a little bit of time to understand the conditions,” CSK coach Stephen Fleming told reporters. “They all are available for selection. Ngidi is a big loss. He was the find last year for us. We have got a squad, though, that can cover his absence. We are taking our time on his replacement at the moment,” the former New Zealand captain informed.